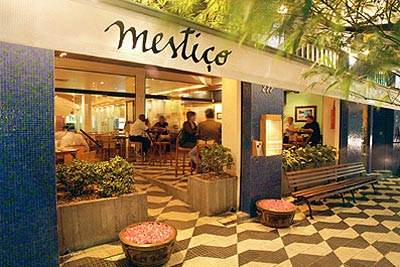 Mestiço was opened on 1997 and since then, receives plenty of people. 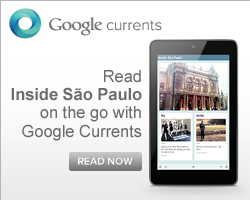 An achievement in a city like Sao Paulo, where every season has a brand new fashion restaurant. But certainly it's because the curious variety found inside of the cuisine. At Mestiço (mestizo) it's possible to find the spice seasoned dish from Bahia, the Indian curry, the Thai chili paste, the Chinese Teriyaki sauce or even the Japanese tare. All these options are available on the menu. Some people go just because of the black beans well settled with "empadinha", rice and steak. Others come in search of novelties such as ko phai (fish cubes with red Thai curry, asparagus, coconut milk and spices), the krathong-thong (Thai baskets of crispy dough stuffed with chicken, corn and spices), these entry devoted 12 years of the restaurant's existence. For dessert, homemade frozen. When: Sunday and Monday, from 11h45am till midnight. Tuesday to Thursday, from 11h45am till 1am. Friday and Saturday, from 11h45 till 2am.